Only from November 23 to November 27 each Lord can get necessary improvements with huge discounts. Each Lord who makes a payment of $100 and more will receive a premium account for 3 months as a gift , or 3 months of prolongation if a premium subscription is active. 3. 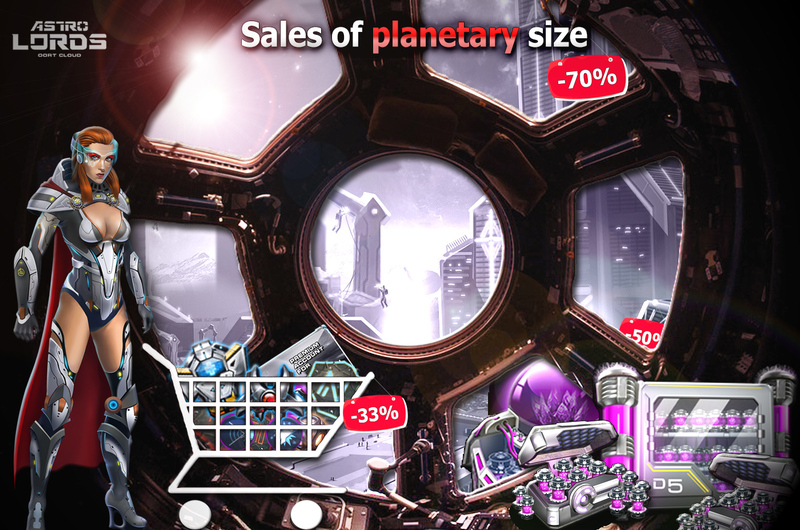 -33% for the price of all sciences activation. 4. Experience gained in Team Death Match battles increased by + 100%. 5. Discount for the all assortment at the Store - 33%. 6. -33% for all premium asteroids. 7. -30% discount in deuterium for the transition from normal to premium Starbase. 8. -30% discount in deuterium / tritium for upgrading all ammunition factories to level 10. 9. Discount on premium ships -15%, and discount for all global premium services -40%.